The Vivian drop earrings dance to a different beat with chic re-definition on a tribal-inspired design and a contrast crystal palette. 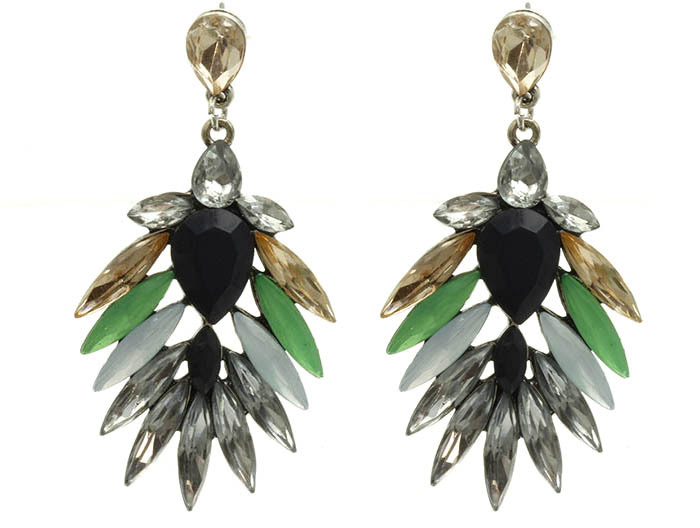 Sharp linear beads shimmering in quartz, green, and bronze surround a noir faceted-cabochon to form a design of bold symmetry that is suspended from a crystal stud. An on-trend piece for a look that embodies ‘cool’.